This Post tells you How to Hack a Facebook account without downloading anything and hack Facebook messenger instantly (2019) in a simple way using Online hacking apps and Softwares to Hack a facebook account, we got tips from Ethical Facebook Hackers and created this guide, this Trick is working since 2016 and helped a lot of people hacking FB account in ethical way 2017, 2018 and 2019, You can download this whole Facebook Hack guide in PDF now. To hack any account you just need to know some of the friends of the Facebook account you need to hack. Following this way you can hack Facebook account and through which you can enter Facebook messenger, In the recent update, I’ve mentioned Mobile Apps to hack Facebook account and Facebook hack Software with coding, give them a try. 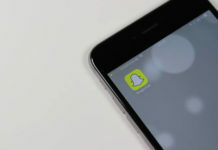 Meanwhile, you can check out How to Hack someone’s Snapchat post as well. Below are the 5 different methods we are going to use to Hack any FB account. Delete a Facebook account – To Delete A Facebook Account. 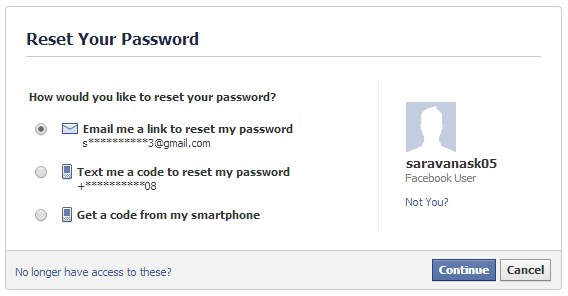 Recover Facebook account – Forgot Password. Report on Facebook – FB Account got Hacked. Gmail Password Recovery – Forgot your email. Given below are the steps to be followed patiently to get into anybody’s Facebook account in a few minutes. Follow these steps and if this doesn’t work then just follow the links given below these steps which leads you to other great ways to hacking an Fb account and even you can get someones Facebook account password using this software. To Hack a Facebook account, Open facebook.com and Click “Forgot your password? ” If you are using a phone, Open Facebook Full Site in Mobile this helps to do all functions to hack FB. Below Reset your Password you could find “No Longer have access to these?” Click that. Type your New email ID, confirm it and click continue. 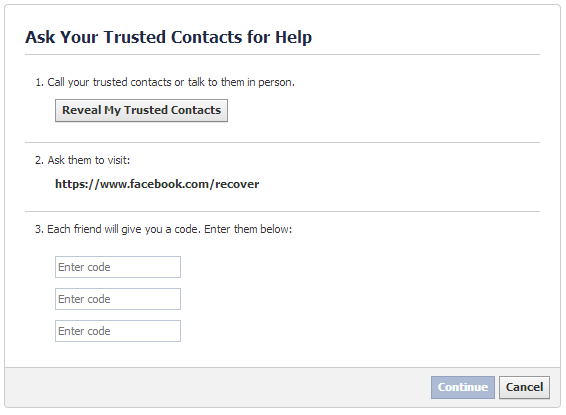 Ask your trusted contact for help, now you want your friends on that account to help, to enter in to the account, you have to get secret code from the three people Facebook shows in this step, try to get the code from those guys to Hack this Facebook account, get the code and Click continue. Within 24 Hours you’ll get a new password and Hack the account. You can use this hack to open your own account if you forgot your password and nothing worked or for any Good reason to hack someone’s account, don’t use this Facebook account hack for any other purpose. To Hack a Facebook password there are many ways, Just peep into the guys PC while he types the Facebook password, just kidding, below are some super cool ways to hack a facebook password. You can also use some Hardware keyloggers like Keyllama, which will actually save the Facebook password that the guy types. Visit face-geek.com account and enter the Facebook ID of the targeted Facebook account. You’ll get the password of the account in 5 mins. Hack Facebook using Sam Hacker in just 5 mins, you can use sam Hacker and Hack a facebook account just by using the Facebook ID of the Facebook account you want to hack. You can register for this account just by using the email ID. Follow the below steps to hack a Facebook account using Sam Hacker. Visit Sam Hacker website (samhacker.com), official website to Hack Facebook account. Enter the email ID of the account you want to Hack. In 2 mins you’ll get the Hack report and credentials, you can easily hack the Facebook account you wanted to hack. Facebookhackerp.com is also a website, where you can enter and just click Hacking account, then it’ll redirect to a page, where you have to give someone’s facebook profile whom you want to hack and click enter. then follow the instruction, that person account will get hacked and you’ll get his Facebook password. 1. Wonderhowto – This website provides you the detailed content on How to hack a facebook account and how to be safe. 2. Hack-Facebook (hack-facebook.com) – Try this online Facebook Hack, It gets the facebook account which you want to hack and starts hacking and it may work. 3. Hyper Hacker (Hyperhacker.com) is one of the experts in Facebook hacking, they compromised more than 1000 Facebook accounts and won lots of Boug bounties. 4. SPYZIE is the latest tool in the market to Hack Facebook account. Keylogging is a software program which records the activities and keystrokes used during login of account and discloses the password of the user to you. Using the most advanced software, it sends data back to you and regulates the information which has been copied and pasted, even interprets voice dictations. While there are a lot of keyloggers out there, the best among them is Spyrix Free Keylogger. This app records all the words typed by the user and saves them in its file along with the list of programs used by them. For better performance, it takes screenshots at regular intervals. The only complication while using this software is that you have to have access to the person’s computer. Once the software is downloaded, open the program by double-clicking and in the window that pops up click Yes, then click Next, three times. Click on Install and then on Finish. Once you start the program, it automatically starts recording the keystrokes of the typing done on the computer. To view the collected information, you have to press Ctrl+Alt+A. You can then search the details until you find the login information. If the password is already saved on the browser, then download software called FacebookPasswordDecryptor which shows the detected facebook passwords stored through Internet Explorer, Chrome or other browsers. Just download and run the program and soon you will have the necessary details. Get the passwords of all social media accounts. Works only on Windows computers. Have to have access to the user’s computer. If two-factor authentication is enabled, the account cannot be operated even if you have the required details. This technique uses tricking human psychology to get the desired result. To phish for the information, you have to generate a relying e-mail which looks like it is received from Facebook directly. Within the email, there would be a link which when the user visits, they would be asked to enter their login information to secure their account. Once done, you get the information that has been collected by the link and can easily access the account of the user. No one falls for such scams. The best and easiest way to hack someone’s facebook messenger is to download a spy app among thousands of them available online. The best being mSpy is the most effective and reliable spy app ever, it provides access beyond Facebook. Used by millions of people, it has constant email and chats support facility for any help. This interface can be operated from all major Smartphone brands, Mac and Windows computers and more. Install this app on the device of the user and if you face any issues, you have the customer support service for your help at all times. 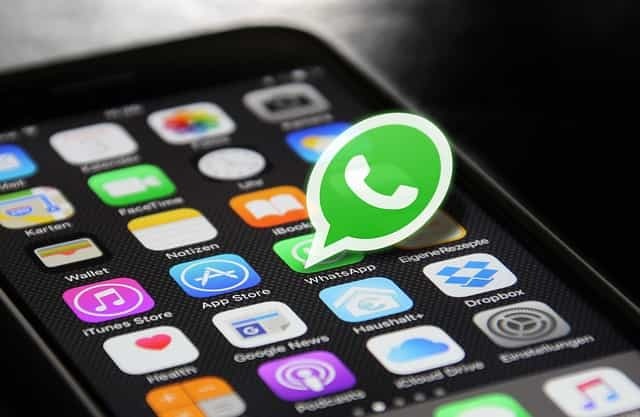 Apart from Facebook messages, it also discloses the call log, messages, browsing history, GPS location, email accounts, saved media with all messaging apps and other social media accounts. This app is generally useful to keep an eye on the actions of the children; or by wives who want to keep track of their husbands’ actions; or people wanting to catch their partners cheating on them. 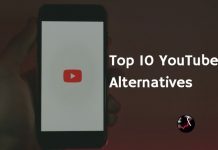 You can also check my previous post on best hacking apps. How exactly does mSpy work? You have to buy the app and then download it, and install it on the user’s devices. You will then be able to access all the information present on the user’s phone from any device, you just have to log in to your account and keep track of the dashboard information of the user’s device. Access to every activity on the phone. Shows you the received, sent and even deleted data from Facebook, WhatsApp or any other media. It is not free and plan begins at 15 dollars a month. Don’t use the same e-mail ID for other social Networks. Keep security questions very harder, so that nobody could predict. How to Change Facebook Password once in two months at least. Keep your passwords very secure, use password managers. If you got any Problem Hacking Facebook Just do a comment. Don’t share Facebook username everywhere. Disclaimer: All the information provided in this article is only meant for illustrative purposes. Do you have a Facebook account you would love to hack into? have full access into it secretly without the fb user noticing you got in, contact me for hire..
Gmail, yahoomail, protonmail, electronic mail and other mail types hacking. Facebook, whatsapp, instagram, blackberry messenger,snapchat hacking. Iphone, icloud and mackbook hacking. school website hacking and grade changing/upgrading. Hi,am Emma.i had a professional hacker helped me hack into my spouse’s email and calls log and Facebook account,when i find out he was cheating on me,if you need help you can contact him.i think is high time we take this cheater out for good.Good luck as you find out what your spouse as been hiding from you. (any problem relating to hacking) just a mail and it done. he hacks all most everything from,facebook,emails,text,viber,kik and lot more.Emma referred you in. Please can you help me hack my friends fb account? I urgently need a professional Facebook hacker. Can someone help me? Please. Do you need to hack a Facebook account? i know of someone who can help. How to hack FB account 2017? 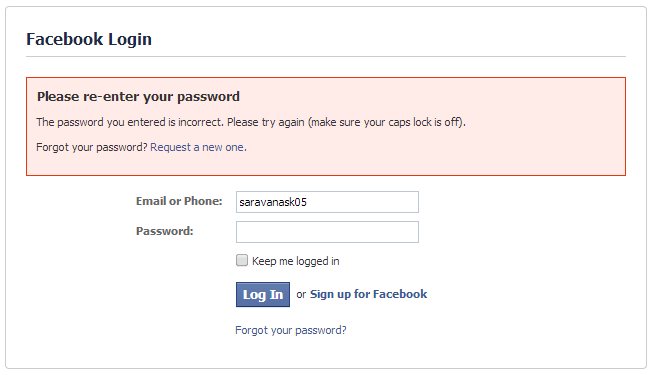 I really want to hack someones facebook account, please help me, I can give you FB ID to hack. yeah its really cool and helpfull but how to get verification code man i need to hack someone fb account plzz help me. I need to hack a fb account and Know the password ,can any one help me ,if yes plz reply me. Is there any Facebook Hacker to help me Hack Fb account? this FB hack is very helpful but I cannot get the verification code. if you’re looking for a genuine and efficient Facebook hacker, I strongly recommend this pro FB hacking team they can hack any Facebook account and any social media account and they’re the most reliable Facebook hackers out there with very decent payment. I’ve tried them twice so i’m recommending them. Details about those hackers. please. Thanks.. Hire a legit Private Investigator that’s capable of handling any hack related issues, hire him and he won’t disappoint you. He can help hack into any device, social networks including – FACEBOOK,HANGOUT,iMESSAGES, TWITTER ACCOUNT,SNAP CHAT, INSTAGRAM,WHATSAPP,WECHAT,TEXT MESSAGES,SMARTPHONE CLONING,TRACKING EMAILS and also any other social media messenger or sites. He asked me for some few information about my wife mobile device no personal info was asked for also, i provided it all to him and in less than 24 hours i was getting too see my husband text messages, call logs and as well as whatsapp messages as they come into his phone, i was able to get good and solid proof I needed so desperately. Contact him today. Be careful guys emrys is the man that befits your work.I believe you will surely thank me later with my personal experience with him….tell him Rhonda refers you. Kindly give me the contact information too. how can I hack my friend FB account? Bro I just want To Back Some Ones Fb account because he is disturbing me every so pls tell me how can i hack facebook plz tell only working plzz, pleas tell me How to hack a Facebook account. Just follow the steps above to Hack Facebook without software. Plzz help me out to hack my own account. From last one years m trying to hack my account but nothing works. I have no longer access to email Id as well phone number. Nice post I will definitely try this method to hack Facebook password. Yeah, You can try today. Which is the best way to hack an fb account??? Just follow the steps mentioned above. You can use any browser to hack Facebook accounts. Better try the latest version of the browser. Follow the steps given above. sure i can…contact me on my mail for your hacking issues such as hack facebook with full acess to log into,whatsapp and emails.etc..
i hired Lawrence my old time university hacker he was able to retrieve 4months of text and whatsapp and facebook messages off my Ex husband’s phone in 72 hours. You can contact him, hope that helps? Hello everyone! If you require the service of a professional hacker to help track your partner’s cell phone remotely, he was excellent in helping me hack my husband’s phone without physical contact. Tell him Tiffany referred you he’d help. also changes DMV records. kik- vladtech. Comment:Can you please tell me step by step how to hacking a Facebook account? I recommend cyberapphack 100%. This hacker can buypass any fire wall, i cloud, whatsapp,phone what so ever. he is trust worthy and reliable you can count on him and his services are affordable./.,/./. Hire a professional hacker today and solve facebook, gmail, hotmail, skype, icloud, corporate mail, database stealth access and other web infiltrations. Thanks to Jonah Asheri was able to get into my fiancee’s facebook as well as her gmail acct,also got hold of all of her phone logs,text messages to discover she was a cheating liar,Dude’s work is top class.hit him up for any hack related issues as well as bank tf’s.blank atm’s,high school/college score upgrade…robert referred you cuz he’s real private. How i hack Facebook account please suggest me. Have you guys checked out this guy Aviv Nadav at.Dude’s a cyber guru.involved with cloning phones,hacked into my ex’s gmail and Facebook,what led to me knowing she was infidel and also just gave my nephew some really outstanding school scores which he upgraded himself,cool way to have financial freedom as well,Get your bank blank atm cards which could debit money from any a.t.m machine.Make $20,000 and more in a couple days.Bank transfers and wire transfers as well as PayPal jobs.hes that good,had to make him my personal hacker.You could mail him as well if you got issues.he’s as discreet and professional too.he’s kinda picky though so make mention of the reference.Thomas referred you. can you help to hack a facebook account? Penetration and Invisible crawl-In ( SQL Sequence ) is what we specialise/Love doing .